Bluegrass bands in Vermont pass around members about as often as square dancers swap partners. Notable exceptions exist — Banjo Dan mostly led the same Mid-nite Plowboys for some 40 years, for example. Still, the small but robust community of acoustic pickers throughout the Green Mountains tends to do-si-do through various configurations, combos and bands. That's not a bad thing. For starters, revolving roster overlap means that practically every new grass band is essentially a local supergroup, since lineups often feature several of the state's ace players. More critically, the constant mixing and matching fosters a familiarity among players that is often lacking in all-star bands. While blazing chops are nice, comfort with fellow pickers is key to musicality, to balancing substance against all that flash. For proof, look no further than Northern Flyer and the quartet's late 2017 self-titled debut EP. The new Burlington-based quartet features four of the state's most experienced and well-regarded bluegrass players, all of whom have performed together in various combinations over the past 30 years. We'll skip the family tree, but the band's collective bona fides include local grass greats Breakaway, the Modern Grass Quintet and the Lonesome Mountain Boys, to name a few. Put another way, you could play Six Degrees of Bob Degree and connect the noted Bluegrass Storm founder to each Northern Flyer rather quickly. Northern Flyer are indeed a star-studded collection of musicians. But that's not what makes their debut EP special. Rather, it's the manner in which each member sublimates his ego to the larger whole. These are veteran players who place a premium on taste, tact and making savvy musical choices in service of their winning original material. In so doing, the Flyers build a foundation on which each member is able to star. Take the Andy Sacher-penned opener, "Northern Flyer," for example. Andy Greene's banjo is the featured melodic instrument, cascading through rippling runs around the turns. But solos belong to Mark Struhsacker's lithe guitar and Sacher's tumbling mandolin. It's a classic group effort, tied together by airtight harmonies behind Sacher's grinning lead and rock-solid work from bassist Kirk Lord. Sacher and Struhsacker split songwriting duties among the EP's four original cuts — a fifth song, "May I Borrow Some Sugar From You," is a plucky cover of the Chips Moman and Bobby Emmons tune popularized by Waylon Jennings. The two have complementary styles. Sacher writes and sings with a lighter, winsome touch befitting his easy tenor. Closer "Vermont Winters," for instance, is a lilting, comic ode to the hardships of the cold season: "If you promise to end this cold snap, Lord, I promise to dress in layers." Struhsacker, on the other hand, favors a darker tack that resonates in his warm, full baritone. Both "Forgive and Forget" and "The Punishment Don't Fit the Crime" are classic heartbreak songs rooted in classic twangy tropes — cheatin', stealin' and drinkin' — that still feel urgent. Some themes are just timeless, much like the sound Northern Flyer forge on their exceptional debut. 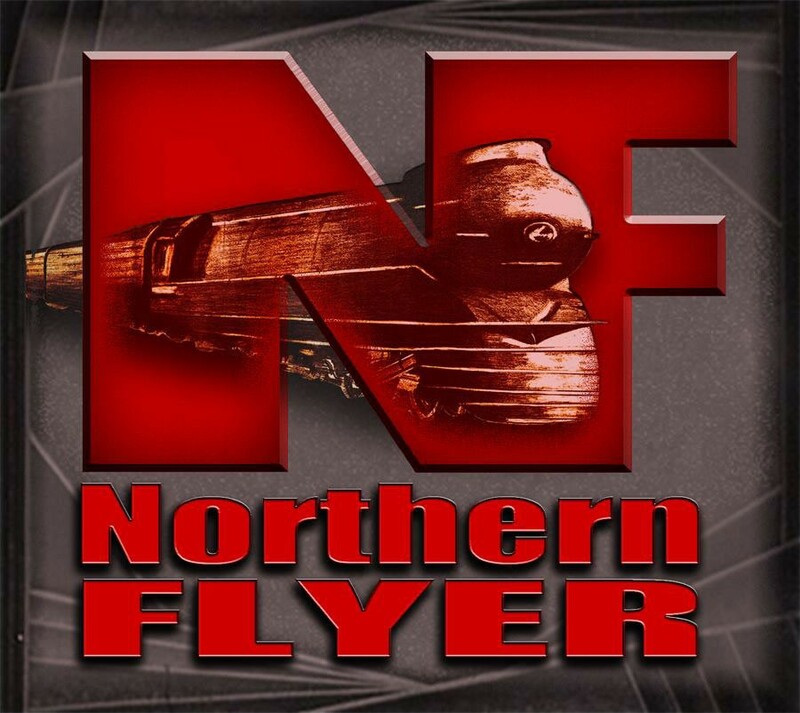 Northern Flyer is available at CDBaby.